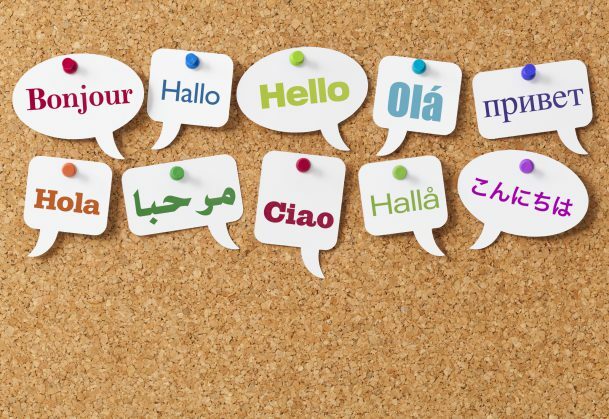 In foreign language classrooms, students often do more listening than speaking—they hear a native speaker, either the teacher or a recording, speak phrases and test their comprehension via paper-and-pencil activities such as matching games. This type of training gives students the correct language input, but research is increasingly showing the value of having students speak the language as a way of learning it. They propose that production practice, using speaking exercises and immediate feedback, may boost students’ ability to speak the language and to understand others speaking it. This research is novel, the researchers note, because it relates production-practice learning to second language grammatical skills. In the study, the researchers divided participants into two groups and taught them an artificial language. The comprehension-practice group used typical listening exercises, while individuals in the production-practice group spoke and received immediate feedback on their vocabulary, grammar, and punctuation. All participants then completed vocabulary tests and tests measuring their grammatical skills. The results suggested that the production-practice group outperformed the comprehension-practice group on both grammatical and vocabulary tests, even after the researchers controlled for individual differences in learning. The pattern of findings was robust across accuracy and speed of comprehension, vocabulary learning, simple grammar relationships, and complex grammatical relationships. The group that practiced speaking even outperformed the listening group on tasks that were almost identical to those the listening group had been given during training. Speaking requires individuals to integrate multiple cognitive functions at once and the authors suggest that reliance on working memory during speaking could increase the “binding” between grammar, punctuation, and vocabulary, increasing connections among these linguistic elements as the speaker forms a sentence. Comprehension practice, on the other hand, may not integrate linguistic elements in the same way because learners are given the language, and learners may be able to use native speaker cues as shortcuts, the authors note. They suggest that current teaching practices may underestimate the value of having students produce the language themselves, and advocate for classrooms to balance the focus on production and comprehension practice. Finding that balance will continue in future studies. Hopman and MacDonald plan to implement a similar research design with a first-year German course, in collaboration with the German department at Penn State University. In addition, they are interested in examining the effect of production practice on novel words that a student has not already encountered. Thank you for such wonderful insight into learning a foreign language. As a teacher of FLE, I’ve observed that it may seem daunting to most of the students to speak up in class in the beginning but it’s essential as gradually, it makes them feel more at ease with the language which boosts their confidence and that in turn, helps them to concentrate better on comprehension and writing. Very interesting read and information. I teach Navajo and I do interpreting work.